Need to make your staff stand out in a crowd or need to get your promotional messages across then look no further than promotional sashes - Promotional sashes are the perfect way to get noticed in a crowd, we specialise in small print runs so can create sashes very economically and most importantly really quickly. With all the best print methods at our disposal and a storeroom full of thousands of metres of ribbon waiting to be printed on we know we can produce the perfect promotional sashes for your company or event. Add your own messages in the font of your choice, choose your colours, add logos & graphics and let us do the rest. 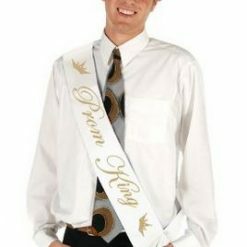 We print in house so can print your sashes to meet your exacting requirements, we offer a free set-up & design service too.